Recently, a small business owner asked me which social media channels he should focus his attention on for customer acquisition and retention. I was about to respond with my standard answer that Facebook should be enough when I pondered it briefly and thought of other times I was asked this very same question. This seemingly ordinary inquiry made me realize that the treacherous sea known as digital marketing, which businesses must navigate nowadays to find success, offers through social media a deep pocket of wavy water rather than a comfortable island that provides reassurance and predictability. In other words, social media yields more questions than answers, and its effective usage remains a mystery to most businesses, especially which channels to utilize and how to do so correctly. This article is meant to provide an answer to this common question by listing the top five social media strategies for small business ranked by importance. The king of social media networks was launched in 2004 and has since worked hard to keep users rolling in and businesses advertising on its pages. Businesses have historically encountered difficulty receiving a good return on their investments by advertising on Facebook, however. The reason is simple: Facebook users could not care less about your company. They logged into Facebook to check out what’s going on with their friends, not to shop. This is a rather obvious fact, whether as advertisers we like it or not. We explained this in a recent article in which we delved into the psychology of your customers and why they don’t care about your business or what you’ve got to sell. They just don’t. If your customers don’t care about your business in general, when logged into Facebook (or any other social media channel for that matter) they are even less interested in hearing about it. This is a seemingly impossible barrier to overcome, so why should businesses bother trying to advertise on social media channels, particularly Facebook? Well, because there is a hole in the wall through which you can reach out to your customers, and it’s called emotional benefit. In a previous article we explored the importance of highlighting benefits vs. features, which works particularly well on Facebook. Let’s learn how to apply the emotional benefit strategy successfully with a real Kolau example. As you will see in the advertisement below, we don’t talk about what Kolau does, what Kolau is, what Kolau’s powerful AdWords optimization engine does or whether we have a super-great seasonal offer for you. Instead, we show an interesting photograph of the conjunction of two major international cities – New York and Shanghai – with an inspiring headline: “Connecting Small Businesses with the World.” We could be an insurance company, a bank, a mail carrier… anybody. 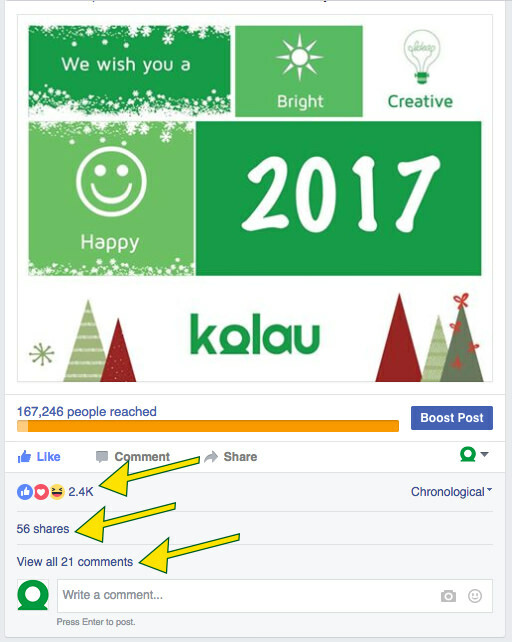 It doesn’t matter, because Facebook users don’t care what Kolau is and what Kolau does. All they care about are the emotions the photo has evoked in them, and consequently they will click “Like Page” and move on with what they came to Facebook to do. Another example is the ad we ran around New Year’s Day congratulating our target followers. Needless to say, it was a tremendous success. Did we promote our business? No, we did not. Did we talk about how awesome we are? No, we did not (even though we are)! We evoked the deepest emotions of thousands of people who could not help but click on the “Like Page” button. In fact, it was so arousing that some people even shared the post with their friends and family as their own New Year greeting card. 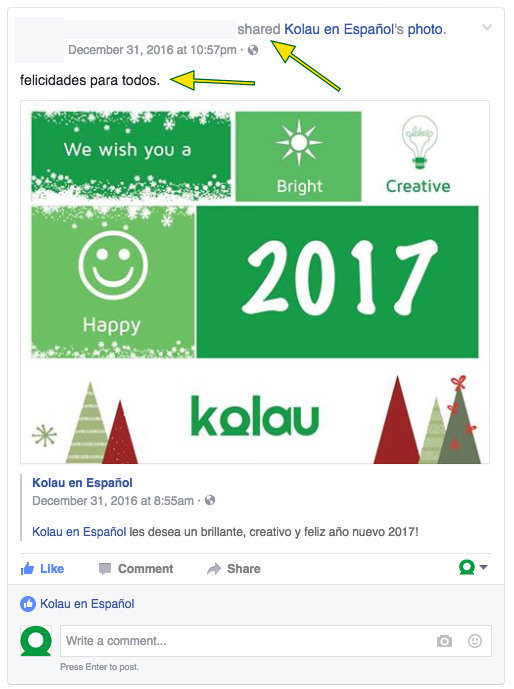 It was a special honor to see how we became a part of other people’s New Year celebratory online cards. These in return were liked and re-shared with others to promote our company, and this strategy should be mimicked by all small businesses at key times like holidays. Results are guaranteed to follow. Ok – so how can I run ads like this on Facebook? 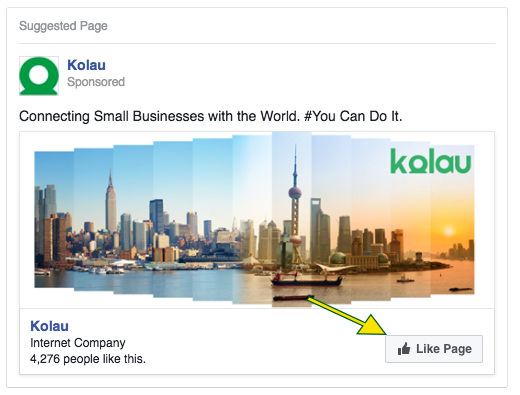 To advertise on Facebook, you have two options. One takes five minutes, while the other takes twenty. Here you are paying for impressions each time your ad is shown to the user, regardless of whether the user actually engages with it or even sees it. An impression is counted as soon as the ad enters the user’s screen, but again, it might not even be seen. Hint: Most times it is not seen. 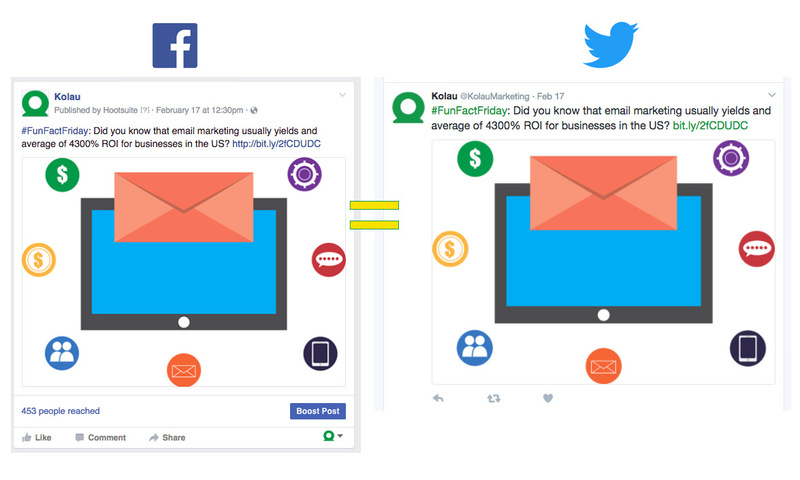 While this is a quick and easy social media strategy for any small business, this advertising option is greatly discouraged, as it has proven to offer very little (if any) positive return on the investment. It is as easy as clicking on the button “Boost Post” and follow the 1,2,3 steps that follow. These extra few minutes equate to much more bang for your buck. 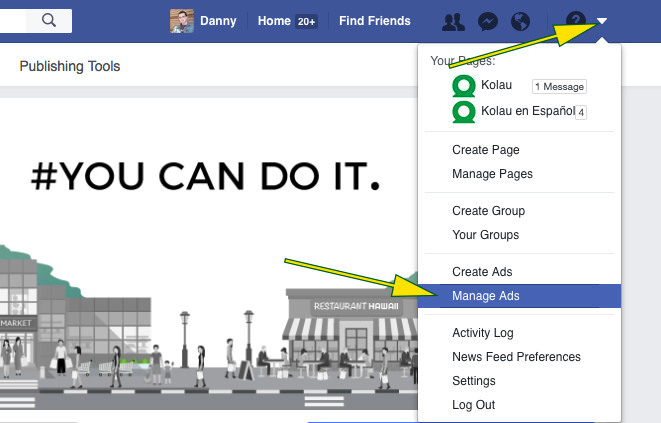 Head over to the right-side menu and click on the “Manage Ads” link, which will take you to another view of Facebook you might not have seen before. Fear not, though; it’s fairly intuitive. Once you’ve landed here, follow the instructions to create a campaign. You’ll enjoy the granular demographic targeting tool! The most important element, though, is the somewhat hidden section called “When You Get Charged.” Select “Page Like” or “Website Click,” whichever is the goal you’ve set in the campaign, but leave “Impression” unselected – this is very important for this social media strategy to pay off. After all, not paying for impressions is the main reason we create the campaign here and not through the one-quick-click “Boost Your Post” option. Twitter has been struggling with its advertising platform, which, combined with its sluggish user growth, points toward a less-than-promising future for the San Francisco giant. While advertising on social networks in general is usually not advisable (with the aforementioned Facebook being an exception), doing so on Twitter is particularly discouraged. Hats off to the platform, though, for its persuasion and clever efforts aimed at convincing businesses otherwise. At this year’s May SMX conference in San José, CA, I was impressed by the stage built by Twitter – by far the most well-staffed and technologically advanced – aimed at selling the idea that Twitter ads work for marketing professionals. The free t-shirt and glossy booklet on social media ads were the reasons I accepted a 30-minute tour of their advertising platform, and I suspect most other professionals accepted for the same reason. 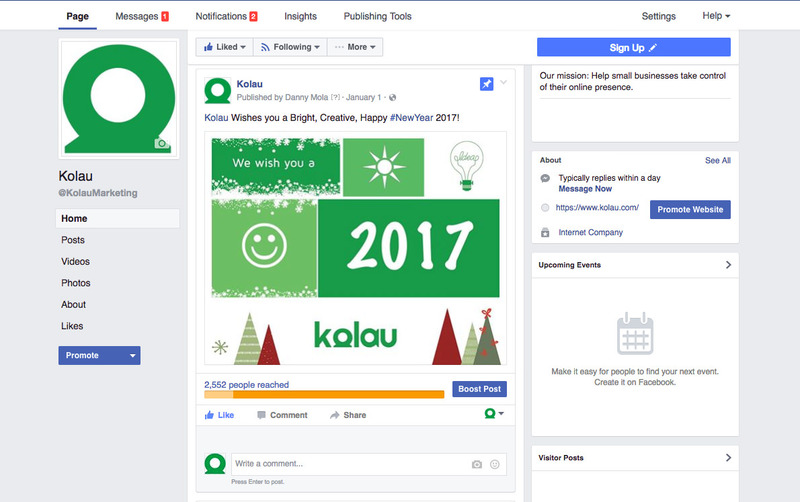 Many small businesses have owned a Facebook page since day one (a great marketing decision), and most update their pages regularly with messages for various occasions, which offer chances to interact with their followers. While this is just an okay social media strategy, it would be most effective for these small businesses to post more frequent updates and engage with its follower base more frequently as well. A sizable amount of small businesses also have a Twitter account (another great decision). However, many of these businesses fail to maintain frequent activity, leading to a decrease in engagement. An effective Twitter strategy involves keeping the account active, with at least three tweets per week and engagement with at least three Twitter users per week, whether they are customers, leads, or influential users. How do I keep my Twitter account active? It’s understandable that your small business keeps you busy day in and day out, and you barely have time to create content for your Facebook page, let alone Twitter. Well, how about duplicating the content in both platforms? 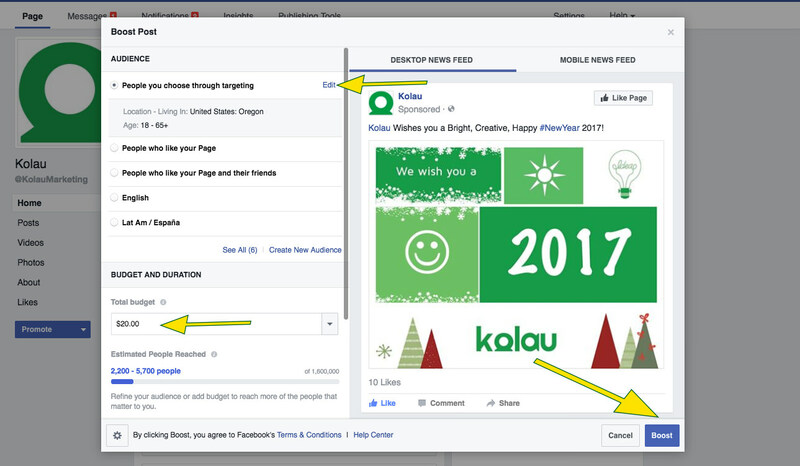 This so-called evergreen social media strategy involves recycling content, and it’s a time-saving method for utilizing both platforms. How do I duplicate the content? There are free platforms through which you can not only create one piece of content and publish it on both Facebook and Twitter, but you can also schedule future posts. This means you can create and schedule all your week-long content from the comfort of your sofa on a Saturday evening without the daily publishing burden. Hootsuite is one of the most popular platforms in this regard, although there are many other highly rated social media management tools available. Many individuals turn to Yelp for advice before trying new restaurants, shops, or beauty salons. The star rating reflects a business’s performance, and a high rating can lead to increased revenue. Increasing a business’s rating by one star has the potential to increase revenue by 5 – 9%, according to a study conducted by Harvard Business School. With Yelp’s potential to significantly increase your business’s revenue through positive exposure, it seems foolish not to take advantage of their platform. How do I create a Yelp account? 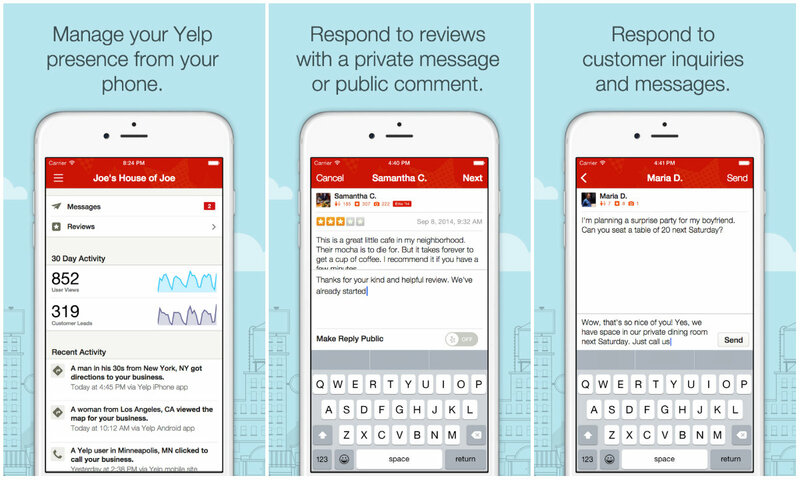 Yelp offers easy-to-use tools that make setting up a Yelp account a breeze. A package called “Free Tools” helps businesses set up their Yelp profiles at no cost, allowing businesses to upload photos and information, converse with customers, and use analytics to review customer engagement. In addition, Yelp also has a free mobile app, Yelp for Business Owners, that allows a business to monitor its Yelp activity on the go. Now businesses can update their profiles and respond to consumers’ messages and reviews no matter where they are. How do I start receiving reviews? Once you set up a Yelp profile, begin encouraging customers to leave reviews after using your services. (Just remember it is illegal to buy reviews.) Ordering a Yelp-branded sticker for your storefront is a great reminder for customers to leave you a review on Yelp or, if they have never been to your business before, to check out your Yelp page. How do I cultivate positive reviews? The easiest way to cultivate positive reviews in Yelp is by creating an enjoyable experience for the customer by offering quality products and services, fair prices, and a clean establishment. Try to cultivate a good base of positive reviews, because then your star rating will not be significantly impacted by a negative review. How do I advertise on Yelp? Yelp employs an array of free features that make connecting with customers simple and efficient, including Yelp Deals, which are prepaid vouchers that offer consumers discounts on your business’s products and services. A business can sell a $15 voucher that is redeemable for $30 at their store. Yelp Deals create an incentive for consumers to use your business. Millions of users look to Yelp each month for reviews of restaurants and other businesses in their neighborhoods. Positive Yelp reviews are sure to increase your consumer base while also driving up your revenue. Pinterest, once one of the hottest Silicon Valley start-ups, seems to be on the decline. With its 100 million active users, it lags behind Instagram, which grew from 400 million monthly active users in September 2015 to 500 million in June 2016. Not only are Pinterest’s total users comparatively low, its growth is sluggish and less than expected. According to Statista, Pinterest has one of the lowest active user bases among social media apps, falling behind Facebook, Tumblr, Twitter, and Snapchat, to name a few. In 2015, Pinterest was estimated to reach 47.1 million people in the U.S., whereas Instagram reached 77.6 million users. Pinterest’s struggle to gain a larger user base may be tied to their inability to appeal to a male audience. The content-sharing service has long been female-dominated; 85% of Pinterest’s total users are women, according to statistics by DMR, and 67% of their user base are millennials. While some companies may be delighted to find a platform that caters to female millennials, many businesses may choose to advertise on other social media networks that offer a larger audience with more diverse demographics. As a small business, it’s worthwhile to put your marketing efforts into a faster-growing social media platform that caters to your intended audience. To sum up, the best social media strategy for your small business is to have Facebook and Twitter accounts and keep them active. In addition, if your budget allows, advertising in Facebook with an emotional touch has proven successful in increasing your follower base and it is also a sound strategy any business, big or small, should do once in awhile.